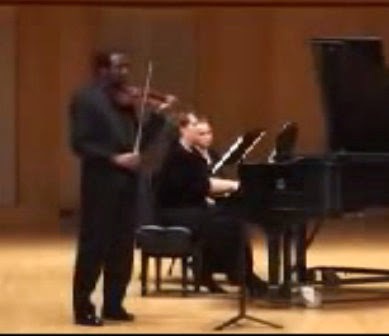 Jean R Perrault (violin) and Jeanne Doty (piano) perform Légende Créole for violin and piano (also known as Haytian Legend) by Haitian composer Justin Elie. Jean R Perrault and Jeanne Doty are both on the faculty of the University of Minnesota Duluth. This performance took place in Weber Music Hall, on the UMD campus, on February 25, 2008. Both the publisher and scholars gave Elie credit for an ethnographic knowledge of Native American music which Michael Largey argues is not demonstrated in his works. The author finds blatant misrepresentations in the unsigned program notes which accompanied the composition Kiskaya, in which the African roots of Haitian music were instead attributed to Latin American countries. 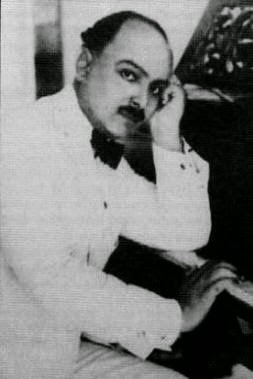 Largey writes: “Unfortunately, the work that might have secured Elie's name in the memories of concert-going audiences in the United States was never published.” “In spite of its technical and artistic merits, Fantaisie Tropicale was never published due to Elie's sudden death on 3 December 1931 of a cerebral hemorrhage.